Meetings are essential for any business organization or institution. Meetings can be conducted by employees, officers, board meetings, or basically anyone involved in the daily operations of the company (either directly or indirectly). Although meetings are mostly formalities, they are a venue where important business decisions are made. 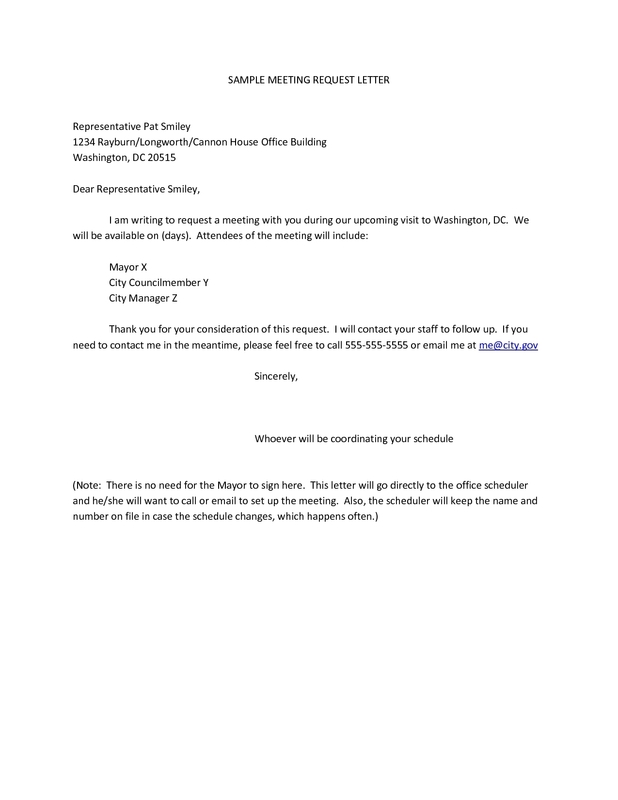 To help you create a official meeting letter, here are some examples in PDF format to help you. 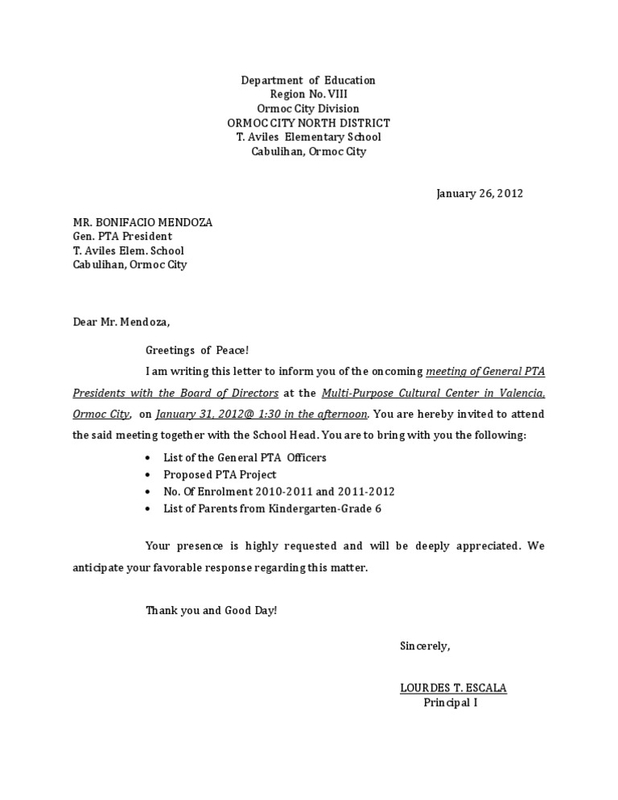 We also included some tips on writing an effective official meeting letter. When writing an official meeting letter, remember to always follow a standard formal business letter format. 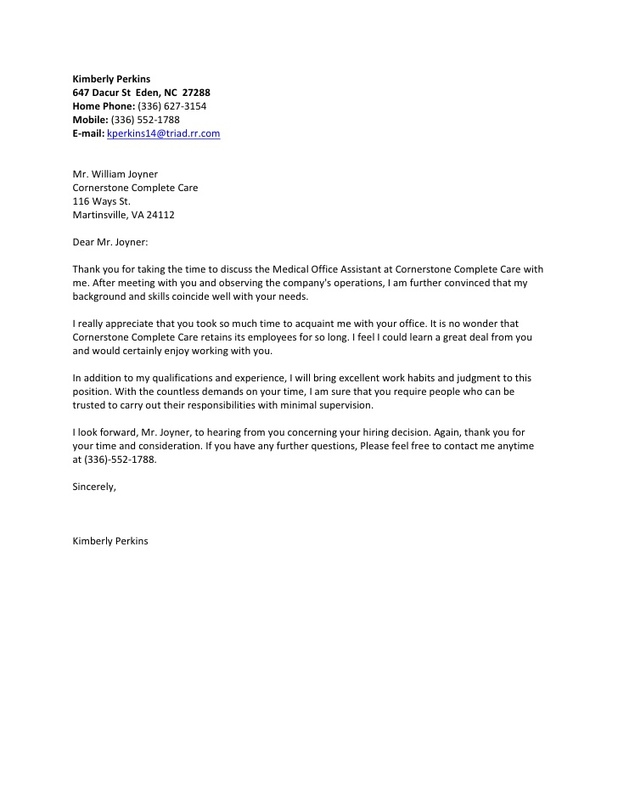 No matter what business letter you are going to write, it should maintain a level of professionalism as seen in all types of business documents. Any meeting letter, or business letter to be exact, starts off with a heading (inside address). An inside address is very useful if you will be sending the letter to numerous individuals around the company. The information you include in the heading include the full name of the recipient, his designation, the department he is assigned to, and his email address. For a meeting letter, you don’t need to include the address as most likely you will be sending the letter to a person within the company. But if you do send the letter to a person outside the company, include his company address right after his designation or position. 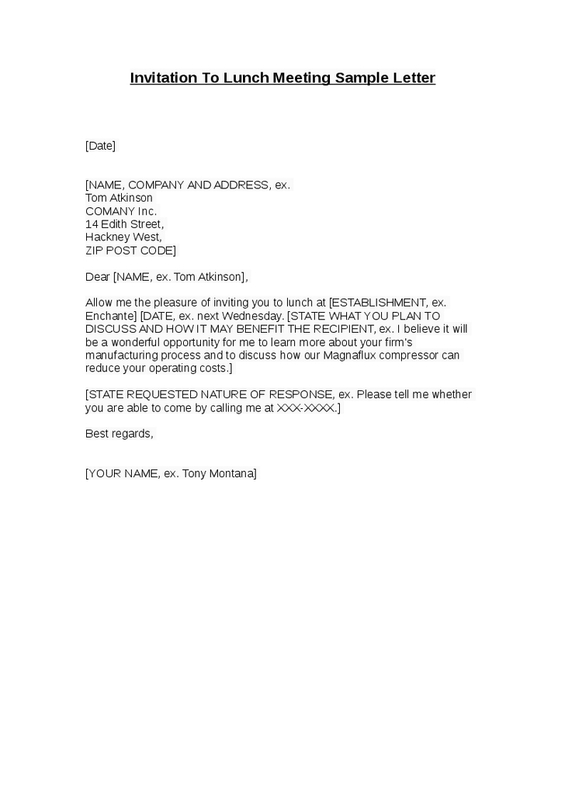 Respect and formalities are always present in business letters. The greeting or salutation is where you will be addressing the recipient in a respectful manner. There are numerous salutations you can use in a business letter, but always use the salutation that best suits your event or activity. The body of a business letter is basically the portion or where you will be writing down the purpose or reason why you are writing the letter in the first place. 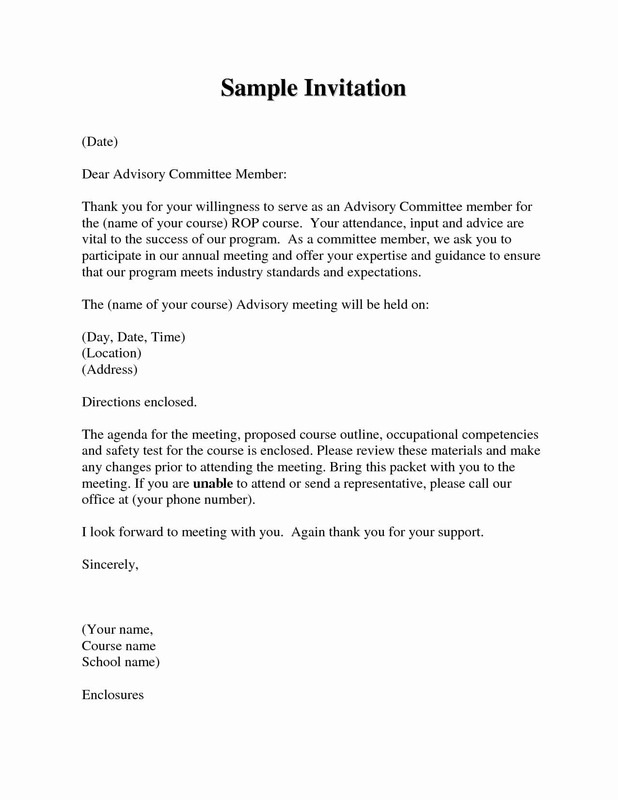 In this case for an official meeting letter, you are writing a letter with the purpose of inviting numerous individuals, groups, or organizations to a meeting sponsored by your department or you personally. The body should not be very lengthy, and should cut directly to the purpose of inviting relevant individuals to the meeting. The body of a official meeting letter should comprise these information: date, venue, purpose, and agenda of the meeting. You should also include statements where the presence of the individuals are highly needed especially if the agenda of the meeting includes voting on important business matters. Do also include your contact number in case the letter’s recipient will have queries or concerns regarding the meeting. I am writing this letter to inform you that you are invited for a meeting together with the different heads (finance, sales and marketing, human resource) of the company this coming Saturday, August 24, 2018. The meeting will be held at function room A2 located on the 2nd floor. Your attendance is highly needed as the meeting will focus on the status on how the company has met its financial targets for 2018. The meeting will also discuss the methods that the company will be applying in the 4th and last quarter of the year. If you have any concerns, please feel free to contact me (local 574) or the administrative department (local 123). We hope to see you soon. Have a nice day! 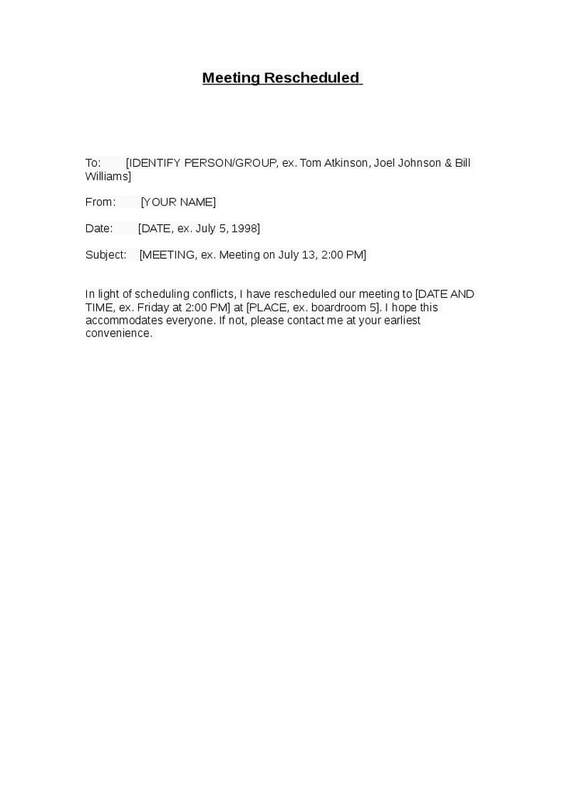 Take note that the sample body written above is not the standard body for any business or official meeting letter. You can always add more information, but remember that the whole letter (including the other sections of the business letter) should fit in a 8.5×11 inch paper. A complimentary close is similar to a salutation or greeting, but it’s instead found toward the end of the letter. A complimentary close, also called the sign-off phrase, shows your respect and appreciation to the letter’s recipient. Although it is a very old-fashioned tradition, using a complimentary close is still being held a high regard in all types of business documents, mostly business letters. The signature line is where you affix your signature, and is always found right after the complimentary close. To make the informal meeting letter more formal, affix your signature using a pen and avoid using a digital signature (or a signature you just scanned and attached in the letter). You can see a great difference of quality in a handwritten signature from a digital signature. Why Do Businesses Conduct Meetings? Policies are guidelines or rules that companies follow diligently on a regular basis. Each company or business organization has its own set of policies, in which is formulated by the company’s top management (CEO, business owner, board of directors). The policies are then disseminated throughout the entire company for all the employees to apply in their daily work. Sometimes, policies need to be changed or amended due to various reasons. One venue where policies can be amended is through a meeting. It does not take a single meeting for policies to be amended, even if only one policy is being amended or changed. It requires multiple meetings and deliberations from other employees or officers in the company. A meeting can also be a venue where goals or targets are being discussed. These goals can be either financial, sales, or recruitment goals. Similar to meetings where policies are being amended, meetings that discuss goals and targets are not usually one-off meetings. These kinds of meetings are discussed by month or by quarter depending on how often the company sets its goals. There are also meetings that aim to discuss employees being promoted. Before the employee is promoted, his immediate supervisor, the human resource manager, and another company officer discuss the possible promotion of the said employee (his new position, the department where he will be transferred or assigned to, new salary package). After the promotion is finalized, another meeting is set with the employee and the human resource manager. Meetings are not only conducted between company personnel but with company personnel and individuals outside the company as well. These types of meetings mostly center on investment opportunities. The importance of investment can never be understated for any type of business organization. Investment is needed for businesses to expand their operations (i.e., purchase of equipment, construction of a new building or office, etc.). Writing an official meeting letter is not difficult, as long as you incorporate the correct details, your meeting will be a success. We hope you found this article to be informative and insightful when you will be writing your own official meeting letter. 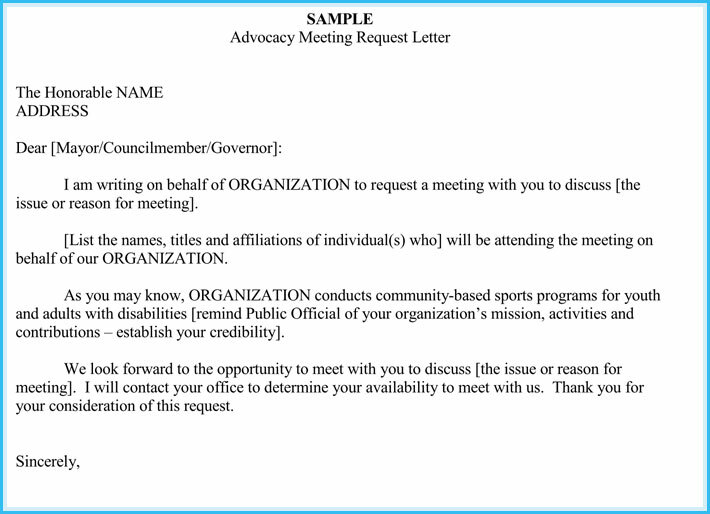 We included some examples (in PDF format) as well as some tips on how to write an official meeting letter. 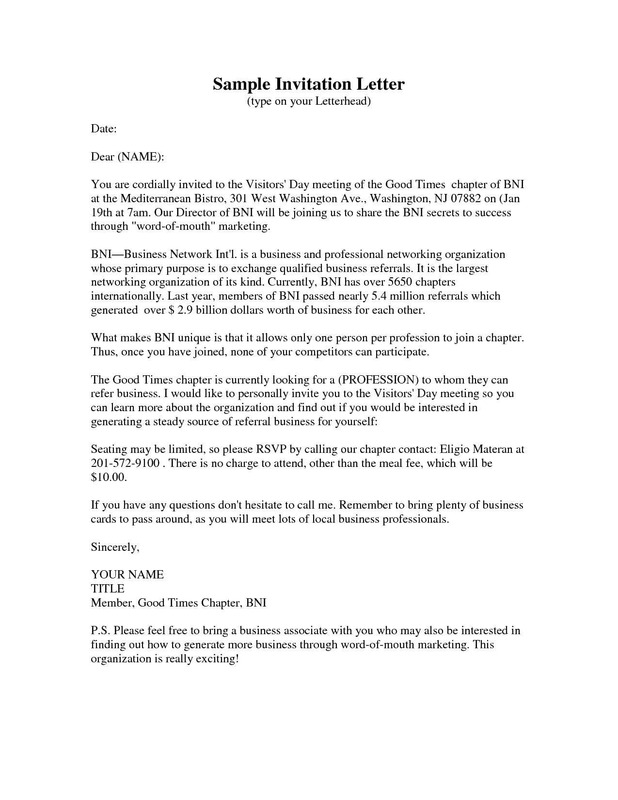 On another note, or not, learn how to not write a business letter, just for the fun of it.